SAN ANDRES, QUEZON - Within 2-3 months Quezon province will benefit from the establishment of a Malasakit center, a one-stop shop that will address the medical bills of indigent patients, especially the senior citizens. This was promised by Special Assistant to the President (SAP), Sec. Christopher ‘Bong’ Go during an ambush interview by the local media on Thursday after his brief speech as guest of honor at the Christmas party of senior citizens here. “In 2 to 3 months time magkakaroon na ng Malasakit center sa Quezon, nag-ocular inspection na sila, padating na ang facilities, kailangan kasi ang office,” Go said in response to the question about the establishment of a Malasakit center, he earlier told Quezon Gov. David ‘Jayjay’ Suarez in another event a few months ago which will be located at the Quezon Medical Center in Lucena City. Go said the establishment of a Malasakit center will prioritize the senior citizens which will have an express lane and it will have a representative from various government agencies such as the Dept. of Health, Dept. of Social Welfare and Development, Phil. Amusement and Gaming Corp., PhilHealth, and Phil. Charity Sweepstakes Office. He said these agencies have funds that will contribute to defray the medical expenses of the patient. “May iniwang pondo doon sa ospital na may Malasakit center, di na sila pipila at pupunta kung saan-saan, at kung may balanse sila, halimbawa, P22,000 iyan ay babayaran ng Malasakit center,” said Go, a senatorial administration candidate in the May 13, 2019 elections. In his speech at the jampacked covered court at the ‘Paskuhan para kay Lolo at Lola’ organized by Atty. 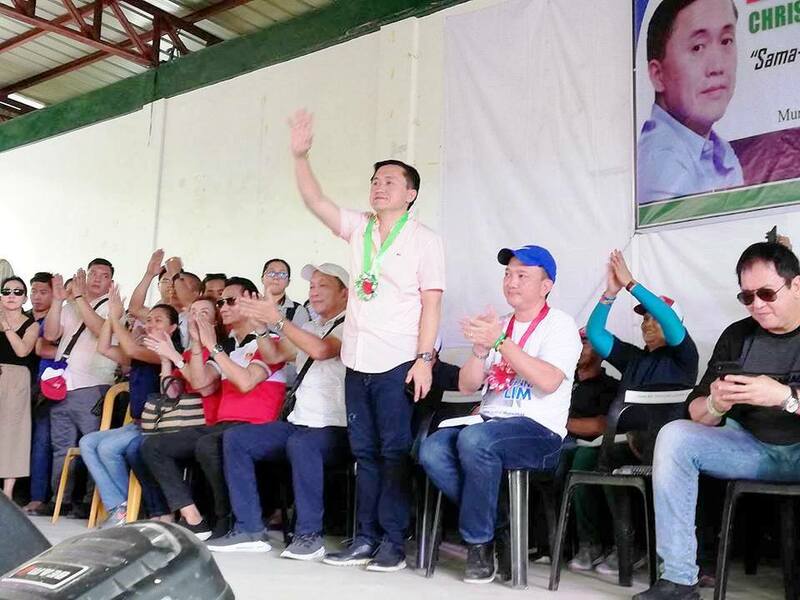 Giovanni Lim, a mayoralty bet here, Go also told the senior citizens about the Malasakit center that will help them about payment on medical services they have availed in a hospital. The event was also attended by former Dept. of Justice Sec. Vitaliano Aguirre, PAGCOR president Alfredo Lim, San Narciso Mayor Florabel Yap and various local barangay officials and representatives of nongovernment groups. Lim is reportedly a close friend of Pres. Rodrigo Duterte and Giovanni’s father. Entertainment stars, sisters Toni and Alex Gonzaga performed during the event and movie actor Philip Salvador accompanied Go. Go also disclosed that among the projects to be undertaken under the Duterte administration in Quezon include the Quezon-Bicol Expressway, New Centennial Water Kaliwa Dam project, Social Pension program for indigents and senior citizens, establishment of Quezon Provincial Science and Technology Center and GIS Hub for Disasters and Risk Reduction and Climate Change.